A young man in a white van took the lives of ten people going about their daily lives in Toronto. Another jolt to our collective consciousness. Its time to start your prayer intercession & engagement network on Praying.Works. Let’s pray together. The motive for this senseless attack is unknown. However, think about how many families are impacted and the lasting effect of this. Aspirations and ambitions cut short. Not to mention the families of the injured. The ripple effect of this senseless act reaches far and wide. While it’s not popular to say this, especially while the event is so raw; but the families of the perpetrator will also never be the same. Tip: Praying.Works is the heartbeat of your prayer intercession & engagement strategy. These events bring out a range of human emotions; one such emotion is helplessness. Leaders and law enforcement do their very best to reassure us, but nothing fills the void deep inside. If you ignore, move on or feel hopeless; remember we have been warned about the occurrence of these events in the last days. We have been told that people will not value life. Whatever you choose to do; it’s important, in fact, it’s vital to revive your strength and faith in God. 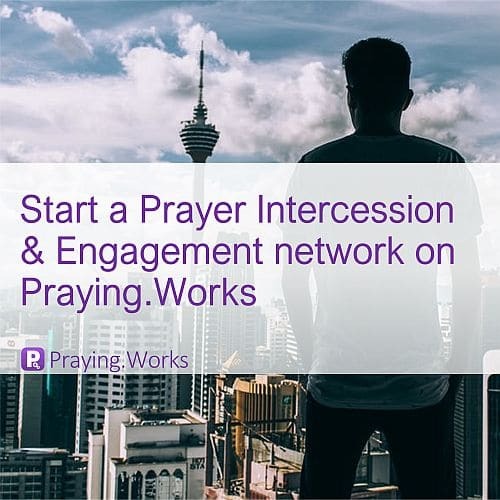 Start a prayer intercession and engagement network on Praying.Works. Its easy and completely free. And maintains your privacy. Using Praying.Works is as easy as your groups on Whatsapp… And you can share between Praying.Works and Whatsapp too…! !